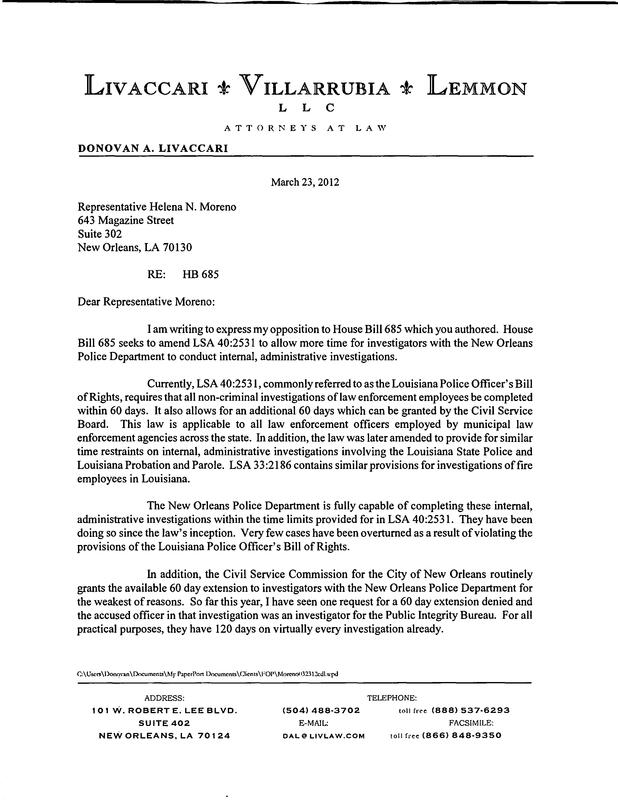 HB 685 is scheduled for hearing before the Judiciary Committee on March 29, 2012. 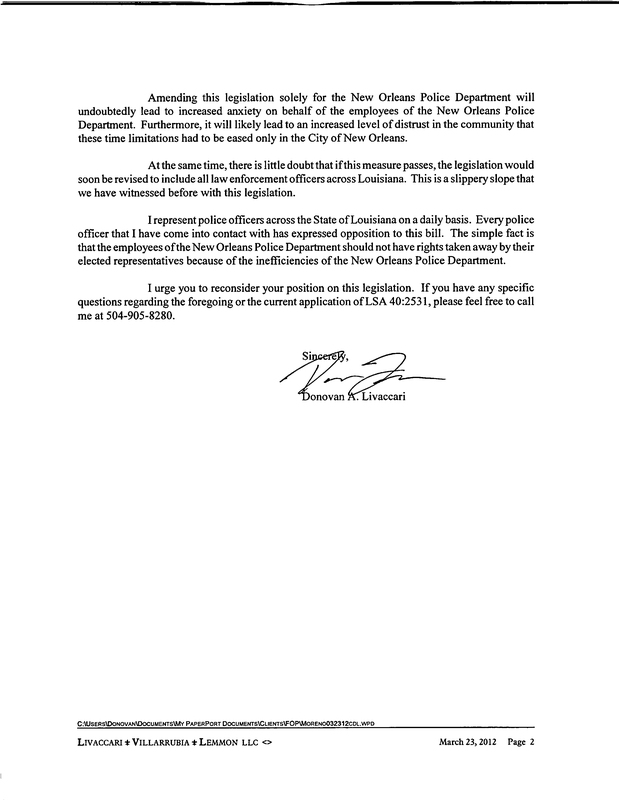 This bill would extend the time limits imposed by the Louisiana Police Officers Bill of Rights on internal, administrative investigations of law enforcement officers employed by the New Orleans Police Department from 60 days to 120 days with an additional 60 days available for a total of 180 days. That is 6 months. Please take the time to write your legislators and Representative Moreno to oppose this legislation.